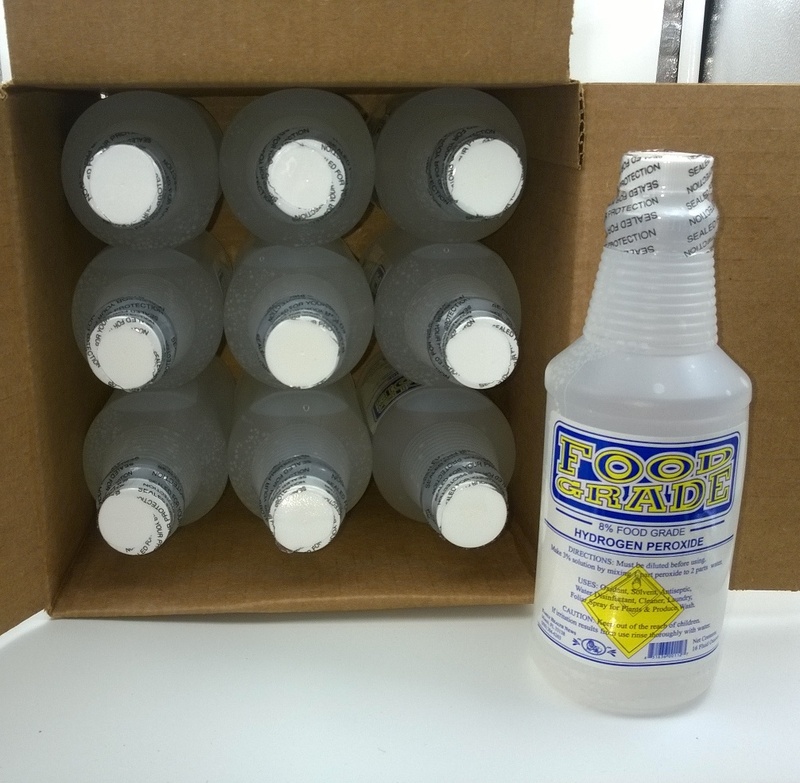 This 8% food grade hydrogen peroxide solution is good for disinfecting water, a foliar spray, Whiten Clothes - An Alternative to Bleach, Rejuvenating Detoxifying Bath, Foot Fungus, Infections, Sinus Infections, Wound Care, Mouthwash, Toothpaste, Toothbrush Cleaning, Tooth Ache, Tooth Whitening, Hair Lightening, Contact Lenses. Clean your counters and table tops with hydrogen peroxide to kill germs and leave a fresh smell. Simply put a little on your dishrag when you wipe, or spray it on the counters. Use hydrogen peroxide to clean glass and mirrors with no smearing. Use it in the Dishwasher, for Mold, in Humidifiers/Steamers, Laundry / Stain Removing, Washing/Laundry, Vegetable Soak, Disinfect Meat, Chicken and Fish. One case is Nine 1 Pint (16 ounce) bottles.